Wow! This week was a lot of first for my baby. I just posted that he started WALKING on his own. Just when I was getting really worried, he just WALKED. He let go and went after H’s iPAD. Now, 4 days after his first steps, he’s been walking much longer … way longer. And, to top it off, he’s starting to run already. Whew! I’m hoping to lose weight now … lose significant weight as I chase him around. It was a VERY hectic weekend for me and for Warren too. We attended 2 amazing birthday parties today. 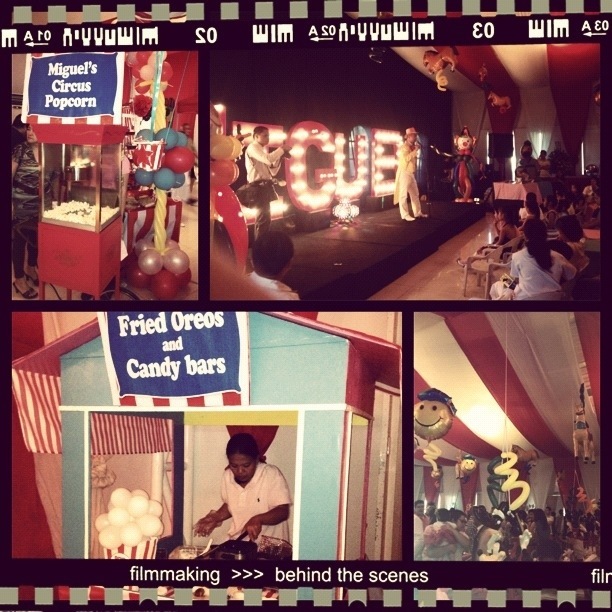 First, it was Keira’s Hello Kitty themed party at Quezon City Sports Club. Amazing decors. Nice simple centerpieces of a Japanese lantern, a picture of Keira when she was a few months old, a candle lantern and a vase with a cherry blossom branch on top of a pedestal. Serenitea, Potato corner, corn dogs and Fruits in Ice Cream were the food carts of choice. Lovely set-up! Unfortunately, I wasn’t able to bring my handy camera so no pictures. Sigh! 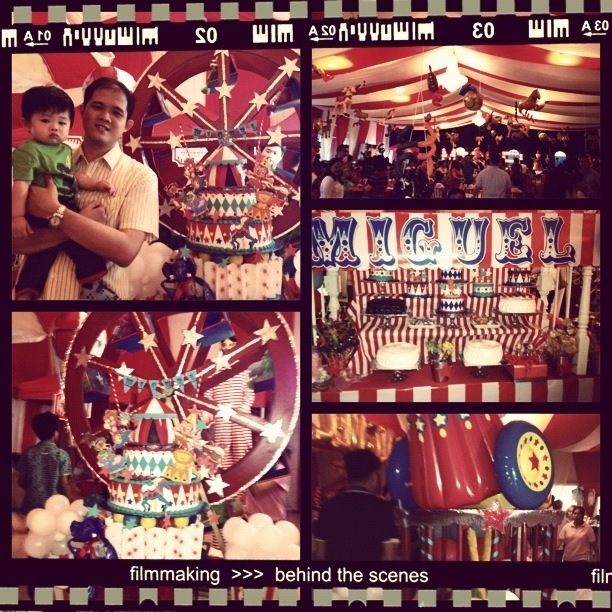 Miguel also celebrated his baptismal day Last Sunday. Reception was at Elements in Centris. The whole venue was transformed into a carnivale! Tons of game booths welcome you to the venue with the highlight being the candy buffet spread. Check out some of the amazing decors. Stilt walkers and Unicyclist also roam the venue. Warren was so intrigued with them. And the highlight of the party? Warren enjoying the Fries Oreos, so much so that he was literally licking the plate for the crumbs and licking his finger off Oreos.